ESRM school libraries have signed up to Lovereading4schools, the website that’s going to help us encourage your children to read even more. From expanding their vocabulary, nurturing creativity, to improving overall academic performance, the benefits of reading are numerous, least of all opening up a lifetime of pleasure from reading. Via Lovereading4schools, we have chosen a selection of books for children of all ages as well as teenage reads. All of these are stimulating and interesting, but best of all, they are expert-approved by Julia Eccleshare MBE, the Children’s Book Editor for The Guardian newspaper. Please browse our selection with your child and encourage them to read as many of these at home throughout the academic year. The books listed come with a selection of additional resources, such as downloadable extracts, expert or reader reviews, author profiles and the cover image, so they can decide if the book is of interest before reading it. Should you wish to buy these books, you can do this through the website too. Prices are discounted at up to 25% and they will deliver direct to your door – please check shipping address! As an added bonus, 5% of the value of all sales will come back to the school as Lovereading vouchers for us to choose more books for the school library, benefiting your child even further! The first time you visit Lovereading4schools, you will be asked to register as a parent and create your own account. It’s free and most importantly, registering ensures any purchases you may make are linked to our school so we will receive the Lovereading book vouchers. All you need to register is an email address and a password. The book lists for our school are password protected. In case you may not know the password or desire further information kindly contact the parents representative of the library committee or the school library. Thank you for supporting the school library and happy reading! Die ESRM Schulbibliothek hat sich für Lovereading4schools registrieren lassen; eine Webseite, die uns dabei unterstützen soll, die Kinder noch mehr zum Lesen englischsprachiger Bücher zu motivieren. Der positive Einfluss des Lesens auf Wortschatz, Kreativität und die schulische Leistung im Allgemeinen sind nur einige positive Begleiteffekte, aber vor allem eine lebenslange Freude am Lesen. Über Lovereading4schools haben wir eine Auswahl an englischsprachigen Kinderbüchern für alle Altersklassen getroffen – auch für das Teenager-Alter. Diese Bücher sind nicht nur ansprechend und interessanten, sondern von Expertin Julia Eccleshare MBE, Kinderbuch-Redakteurin der Zeitung The Guardian bestätigt. 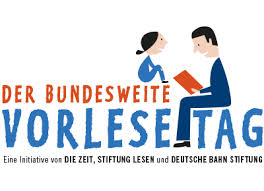 Durchstöbern Sie unsere Bücherauswahl mit Ihrem Kind und ermutigen Sie es, im Laufe des Schuljahres so viele Bücher wie möglich zu Hause zu lesen. Die Bücher der “Reading Lists” haben zum Teil zusätzliches Material wie herunterladbare Auszüge aus dem Buch, Experten- oder Leserrezensionen, Informationen zum Autor und Titelbilder, die bei der Bücherauswahl helfen. Sollten Sie sich entschließen, diese Bücher kaufen zu wollen, ist dies ebenfalls über die Webseite möglich. Die Preise sind bis zu 25% günstiger und die Lieferung erfolgt direkt nach Hause – bitte Versandadresse prüfen! Darüber hinaus erhält die Schulbibliothek 5% des Verkaufswerts als Gutschrift für zusätzliche Buchbestellungen bei Lovereading, von denen Ihre Kinder zusätzlich profitieren werden! Beim ersten Besuch bei Lovereading4schoolswerden Sie gebeten, sich als Eltern zu registrieren und ein Elternkonto anzulegen. Das Ganze ist kostenlos und nur wenn Sie sich registrieren, ist die Verknüpfung zur Schule sichergestellt, so dass Ihre zukünftigen Bestellungen der Schulbibliothek in Form von Gutscheinen zugutekommen. Sie brauchen lediglich eine E-Mail Adresse und ein Passwort. Die Leselisten unserer Schule sind passwortgeschützt. Falls Sie Passwort oder weitere informationen benötigen wenden Sie sich bitte an die Elternvertreter des Bibliotheksausschuss oder die Schulbibliothek. Wir danken für Ihre Unterstützung der Schulbibliothek und wünschen viel Spaß beim Lesen!